In a classic design typical of Sicily, this is an incredibly elegant knife, subtly shaped and tapered from the fine point of the blade to the end of the handle. 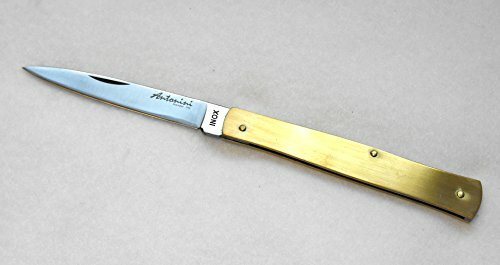 The slender shape of the Siciliano makes this knife easy to pocket, and this brass handled version is particularly thin and lightweight. This is part of Antonini's traditional hand-crafted series, so there may be some variations and slight imperfections in the hand-brushed handle.